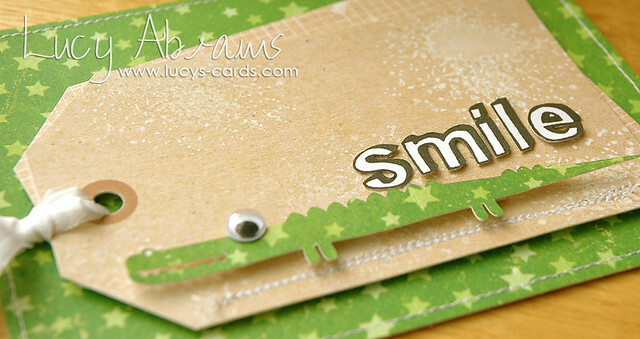 For this card, I used Hero Arts 'Crocodile' Silhouette downloadable cutting file. Isn't he CUTE! I paired him with a sentiment created with THESE alphabet stamps, and added him to one of Hero Arts new Journaler's Tags. These are super cool. 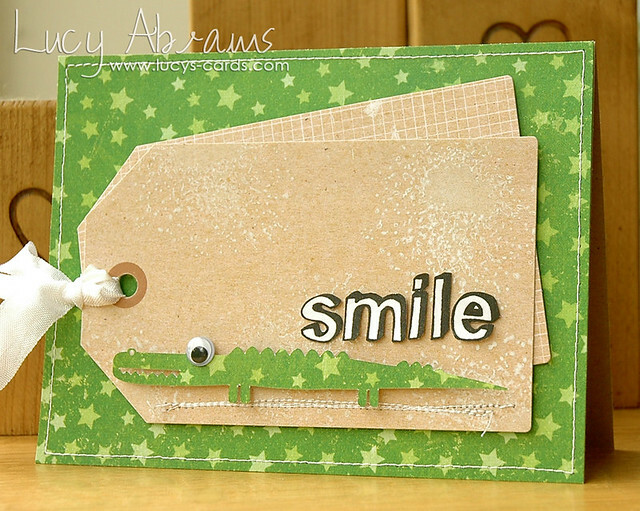 I stamped the kraft tag with the Paint Spots stamp in white ink for a subtle background. The green star paper is from Crate Paper's Party Day pad. Click HERE to see instructions and full supplies.